In 1902, Fryberger was a shareholder of the Missabe Electric Railway Company with G .G. Hartley and others. At one point he owned a portion of what is now Canal Park, purchasing the old Duluth Bethel site on Sutphin St. for $18,000 cash. He was also heavily involved in mining interests on the Iron Range and various railroads. 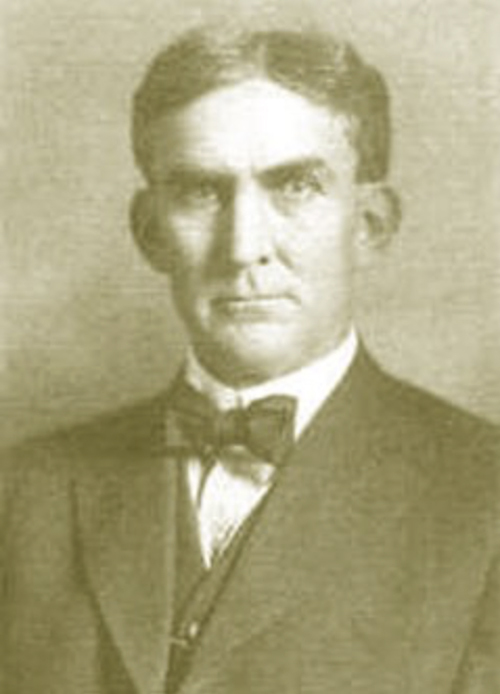 In 1919, he and W. D. Bailey represented Duluth during the dispute over harbor interests and the interstate border between Wisconsin and Minnesota. Essentially, if you were a businessman in Duluth in the early part of the century, and were being plagued by what you thought were unfair political or business practices from elsewhere in the country, Fryberger was the lawyer you called on. In 1906, Fryberger and his partners moved their offices into the seventh floor of the Lonsdale Building at 300 West Superior Street, where they remain to this very day, now known as Fryberger, Buchanan, Smith & Frederick. In 1899, Herschel returned to Goodhue County to take the hand of Nellie Featherstone in marriage; a small wedding was held in the home of her parents. (The Featherstone family name graces several locations in Goodhue County near Red Wing, including Featherstone Township.) For their honeymoon, the couple traveled by rail to Sault Ste. Marie and then by boat to Michigan’s Mackinac Island, spending three weeks on the Great Lakes until returning to Duluth to make their home. Herschel and Nellie had six children: Helen, Virginia, William B., Herschel B. Jr., Robert M. and Philip K. Helen and Virginia, two years apart, were mainstays in the Duluth social scene in their youth, holding parties that were well-attended by Duluth’s smart set when they weren’t attending their East Coast boarding school or Northwestern University. (They also married prominent local men—Warren S. Moore and Joseph G. Sellwood respectively.) Herschel Junior joined his father’s law practice in 1932 after attending Dartmouth College and Virginia Law School. Fryberger Arena was named for Robert M., called “Bob,” who starred in high school hockey at Central High and went on to spearhead the Pee Wee hockey movement as an adult. He also coached the 1951 Glen Avon Midgets to state and national championships and was instrumental in increasing the national prominence of the Duluth Curling Club. His mining company, Rhude and Fryberger, was one of the state’s largest independent firms, running open pit mines on the Iron Range. He was killed at age 49 in a blizzard-induced car accident in 1957. One of his sons, Dayton (called “Dates”), played on the U.S. Olympic hockey team in 1964. Herschel Senior died in Miami, Florida, in the spring of 1937. Nellie went on to live nearly another twenty years, dying at age 87 in the family home on Columbus Avenue in 1955. By that time, she had 17 grandchildren and two great-grandchildren. A year later, the family tore down the old house. Bob had planned to build a smaller home on the site, but his tragic death interrupted that plan. So, for decades, the woods grew up, and the community used the property as a park. In 2000, the family decided to develop the upper bluff of the acreage, plotting out 14 lots around two cul-de-sacs, Featherstone Drive and Featherstone Lane after Nellie’s side of the family. Apparently the development was named “Woodcrest,” but neighbors to this day call the area Fryberger Woods, though this appellation properly applies to the remaining two acres of public access paths below the development around the original driveway, the old bluestone bridge and winding Tischer Creek. Fryberger Woods was inundated almost completely during the June 2012 Flood, drowning some of the baby pines planted previously near the creek. Most troubling, the old bridge suffered severe damage, which remains un-repaired, and some stones are in danger of collapsing into the creek.